The U.S. Women's National Team is gearing up for the 2019 FIFA Women's World Cup in a big way. U.S. Soccer revealed Thursday a 10-game schedule that will put the USWNT up against tough competition in the months leading up to the tournament in France. The series starts Jan. 19 and ends May 26 as the USWNT will play two games abroad to start the year and then eight domestic matches before departing for the World Cup, which starts June 7. “This schedule checks a lot of important boxes in our preparation for the World Cup. We’ll get to experience a variety of teams in regard to their strengths and styles of play and almost all of them will be in their World Cup preparation as well," coach Jill Ellis said in a statement. As Ellis noted, the team is taking its preparation seriously as five of the 10 teams the U.S. will face are ranked in the top 10 in the world. With matchups against England (No. 3 in the world rankings), France (4), Australia (6), Japan (7) and Brazil (8), competition will be tough to help prepare the team for France. Once the road to France is over, the USWNT will face the challenge of defending its World Cup title. 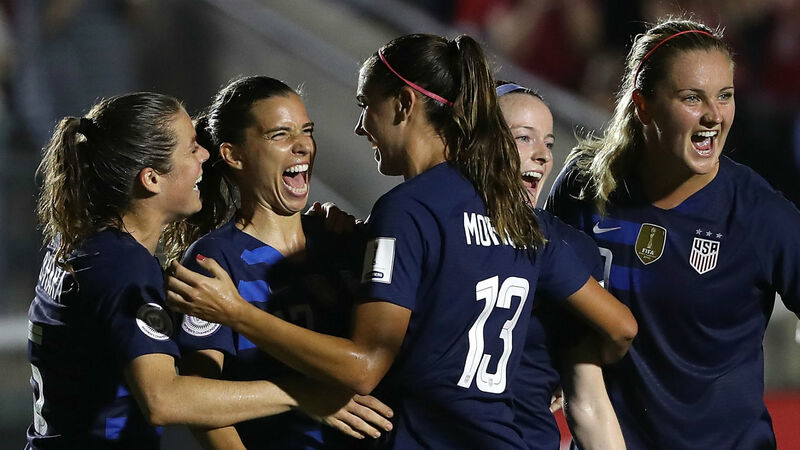 The U.S. women enter 2019 on a 28-match unbeaten run (25-0-3) and went undefeated in their 20 games during 2018. Feb. 27 Japan 7 p.m. ET Talen Energy Stadium; Chester, Pa.
May 12 South Africa 1:30 p.m. PT Levi’s Stadium; Santa Clara, Calif.
May 26 Mexico Noon ET Red Bull Arena; Harrison, N.J.